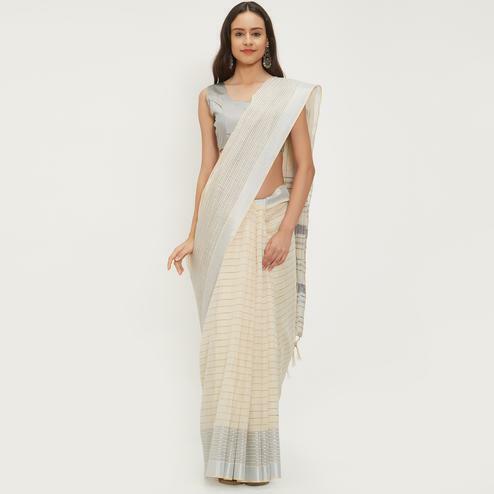 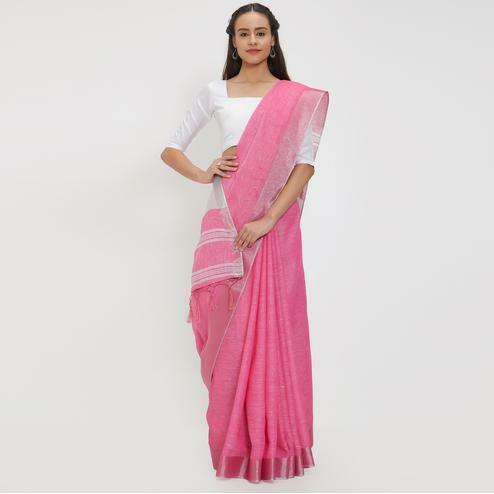 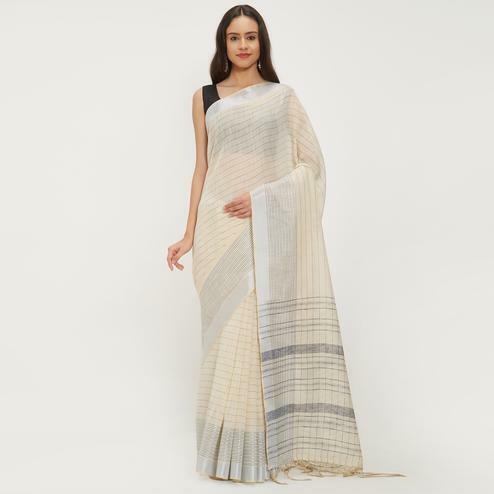 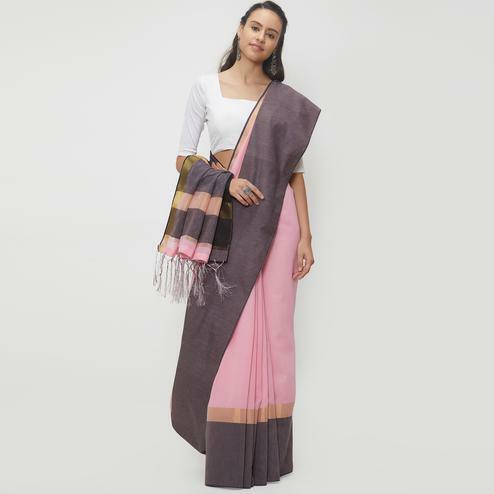 Update your out of date wardrobe by adding this off white - pink half & half saree. 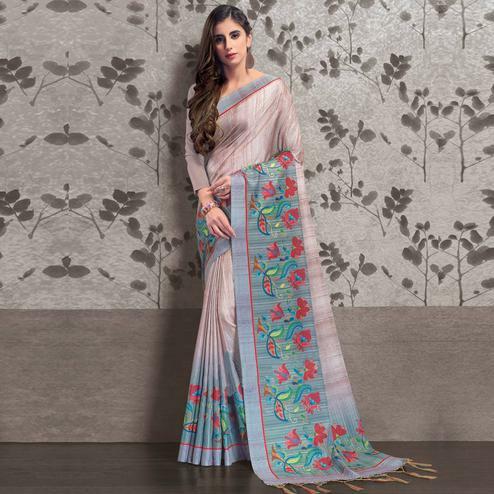 This designer saree is crafted on georgette fabric and beautifully decorated with traditional design embroidered work done at skirt and stone work done all over the pallu. 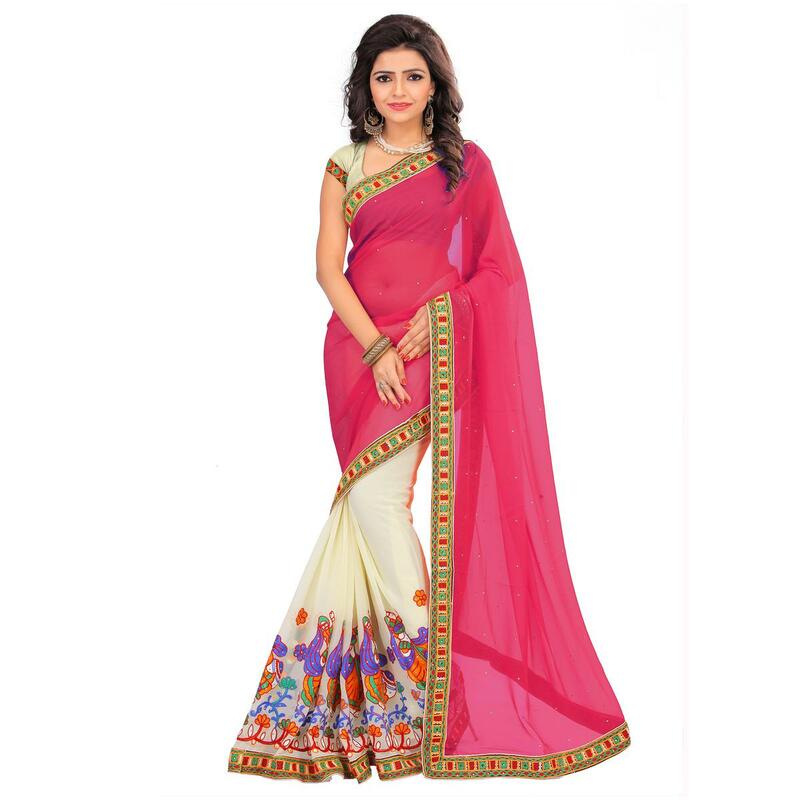 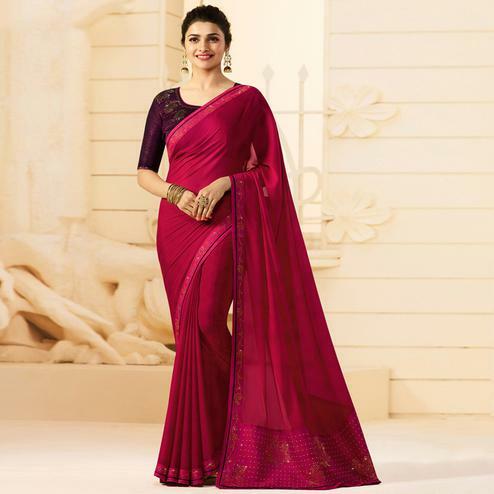 The ethnic design lace work saree border highlights the attire beauty. 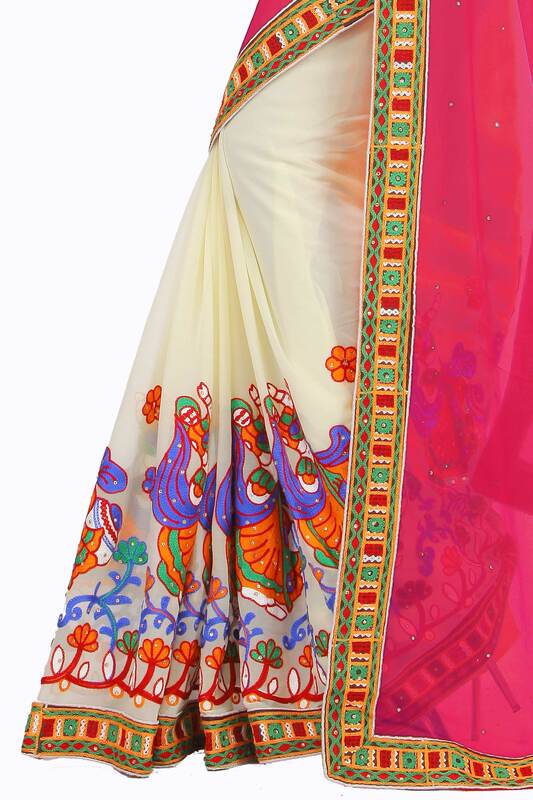 Paired with georgette blouse piece worked with lace.